This is from a few years ago. 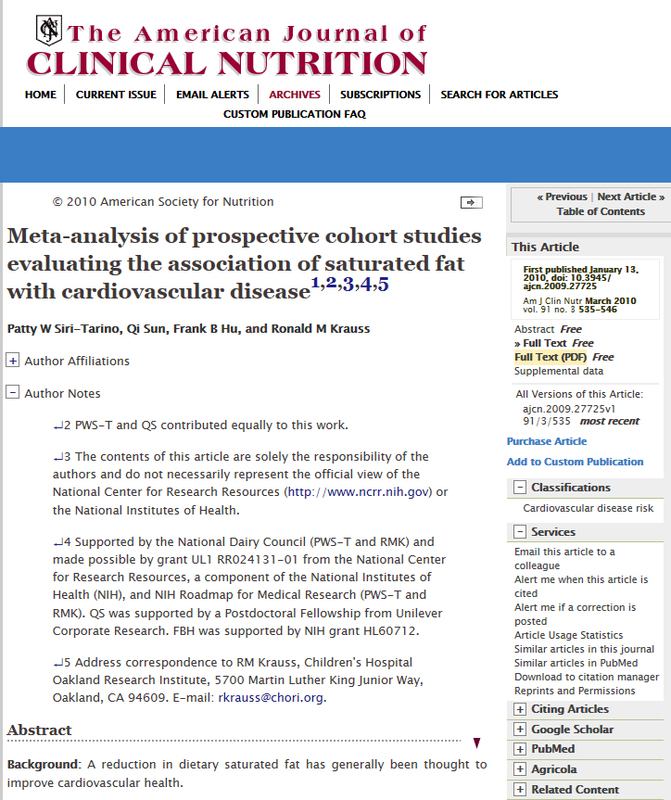 The study is still being cited as a defense for eating saturated fat. Science has become so corrupt. Stamler infers that the authors’ intent was not to clarify the association between fat and heart disease, but to inject doubt. 1 Diet-Heart: A Problematic Revisit, Jeremiah Stamler, American Journal of Clinical Nutrition, March 2010. This entry was posted in Uncategorized on November 26, 2018 by Bix.